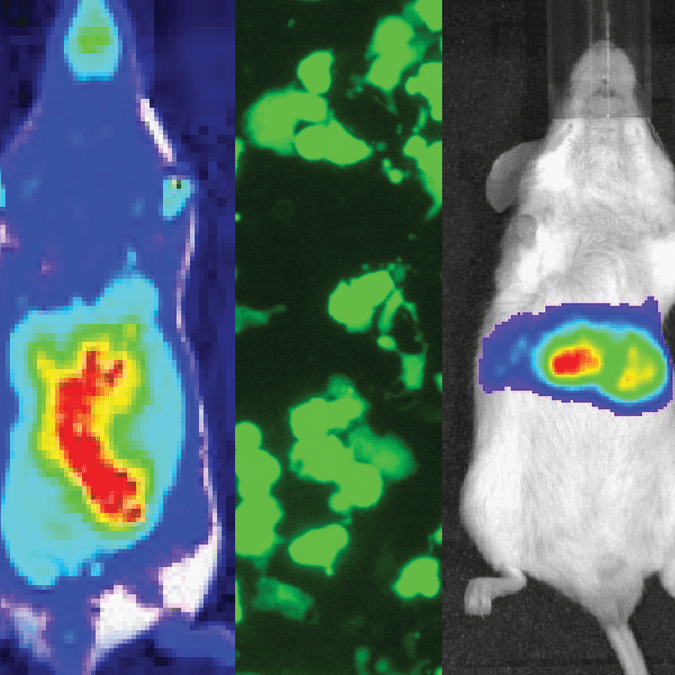 The UbC-GFP-T2A-Luciferase Minicircle for In Vivo Imaging leverages SBI’s easy-to-use Minicircle Technology to deliver copGFP and luciferase to target cells. The reporters are co-expressed from a UbC promoter for low expression in most cell types, including primary and stem cells, with co-expression mediated by a T2A element. The UbC-GFP-T2A-Luciferase Minicircle is available as both parental plasmid and ready-to-transfect minicircle DNA*.